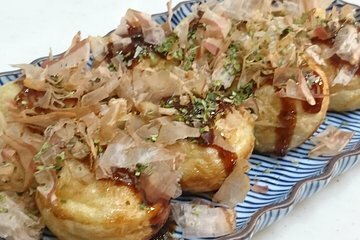 Learn how to make takoyaki, a beloved Osaka street food snack, during a cooking class at Sakura Cook. The tasty balls of batter are typically filled with octopus, but you have the choice to use different ingredients such as meat or vegetables, if you wish. Roll up your sleeves to make, mould, and bake the batter, then eat your handmade snacks at the end of the class; it’s a fun experience for adults and kids alike.